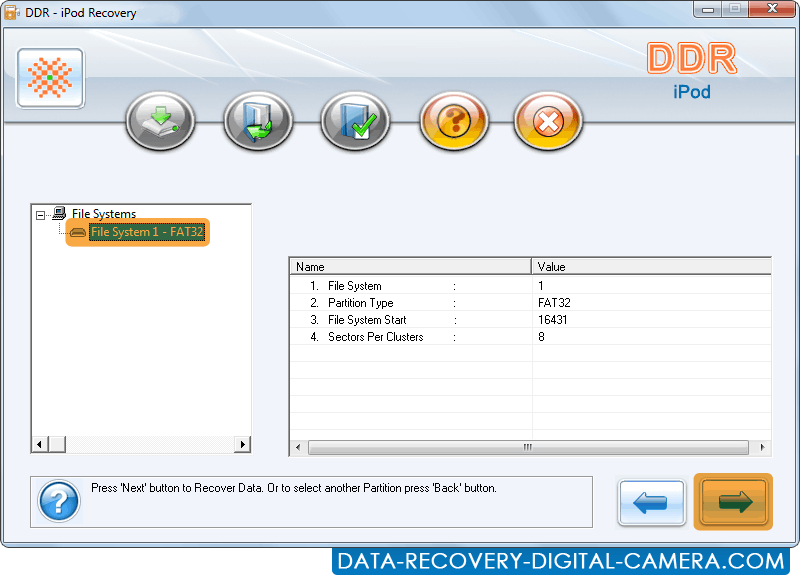 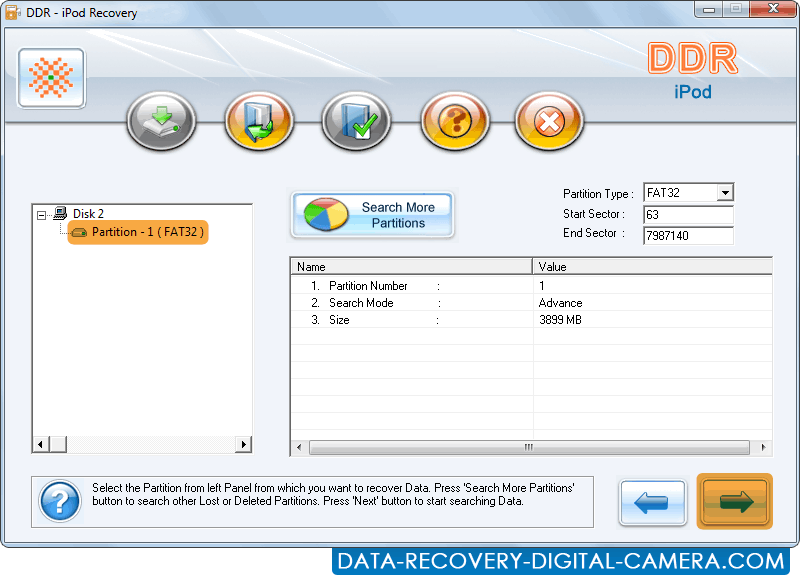 Click on search more partition to search deleted or lost partition. 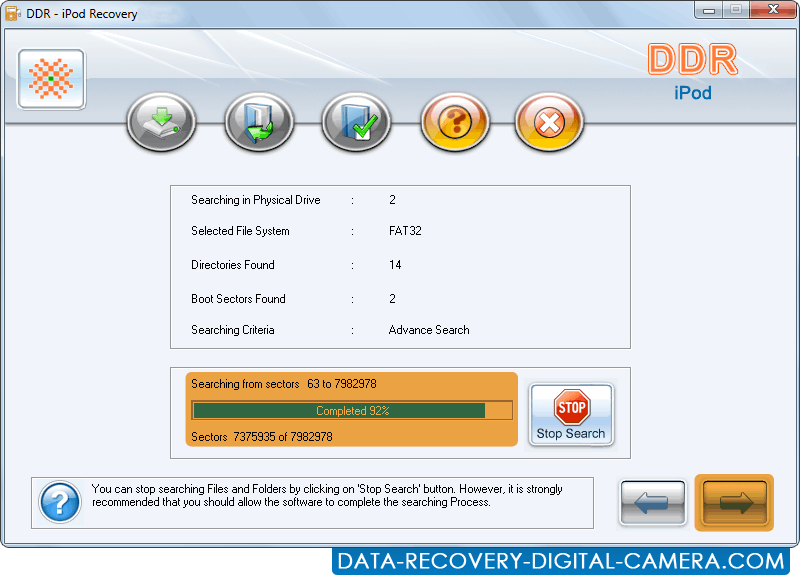 Status bar displays completed percentage of disk scanning process. 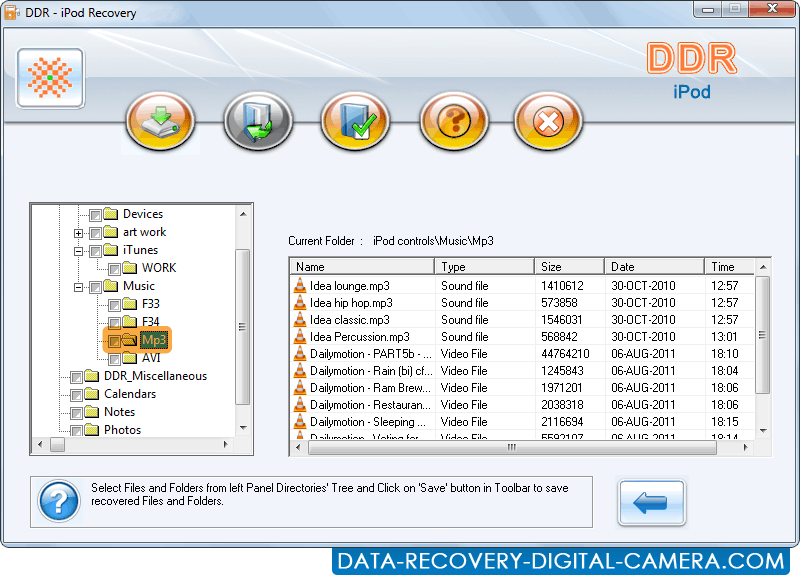 From left panel, choose files and folders and click on Save button.